When the original iPad was launched last year, we saw many innovative ways for it to be used, it was attached to walls, fridges, cupboards and basically any flat surface with a range of custom cases. Now it seem that Apple’s new iPad Smart Cover has a hidden benefit, the built in magnets seem to be strong enough to attach your iPad 2 to your fridge, although we wouldn’t recommend you try this yourself just in case. 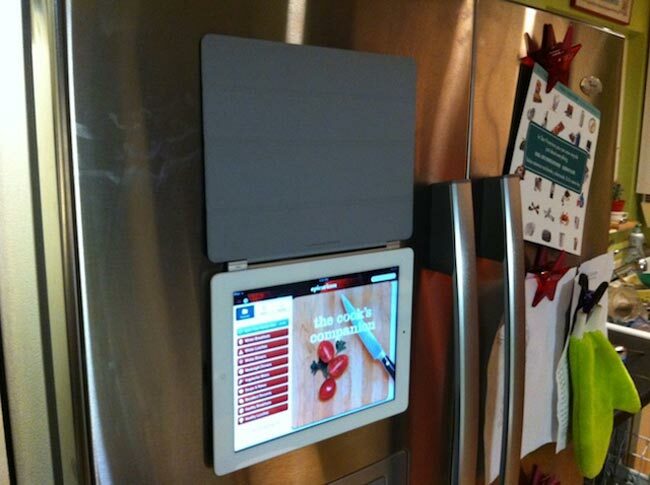 According to Leander Kahney from Cult of Mac, the magnets in the iPad 2 Smart case are strong enough to keep it attached to your fridge. Just clip it to the fridge. It’s pretty sturdy. It clings to the fridge surprisingly strongly. There’s little danger of it coming loose, even when swiping your finger across the screen. No doubt we will now see the iPad 2 attached to a wide variety of metal surfaces, although we can’t recommend you do this yourself as we haven’t tested it out.